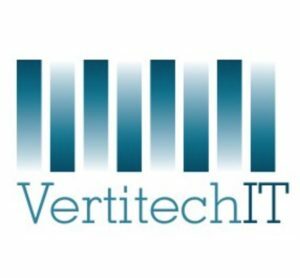 This is a quick post to say thanks to the folks at Vertitech IT for listing movingpackets.net among their Best IT Blogs for 2018 (“Must-Read Resources for CIOs, IT & Security Pros”). MP was on the Best IP Blogs of 2017 as well, and it’s an honor to be on the list for a second year. Information Technology. Sometimes we get so focused on the bits and bytes side of the equation we forget about the information part. When it comes right down to it, IT is all about using technology to inform, to communicate, to make the business of doing business easier and more understandable. That’s why we compiled this list. Originally created last year with 50 top IT blogs, we’ve expanded this year’s update to include 70 leading resources for IT professionals, including blogs, discussion forums, niche industry publications, and the best resources for CIOs and CTOs. VertitechIT’s top 70 IT blogs, forums, and resources were selected because they are among the most current, frequently updated, credible, and informative sources of information related to IT on the web today. From musings of industry leaders, to the veteran guys and gals in the trenches who chronicle their IT journeys, these 70 blogs and resources all have something important to say about the IT world of today, and tomorrow. I’m also pleased to see (and to be in the company of) the NetworkingNerd (Tom Hollingsworth) and Chris Wahl‘s “WahlNetwork“, among others. Maybe it’s really a list of nerds with beards? Either way, Vertitech has put together a good list of technical resources, and the list is well worth a browse to find some additional great blog subscriptions!